Optional Deluxe Headset—PANRPEP110, sold separately. Includes tone/volume controls, continuously variable backspacing, two-speed tape operation and standard headset. 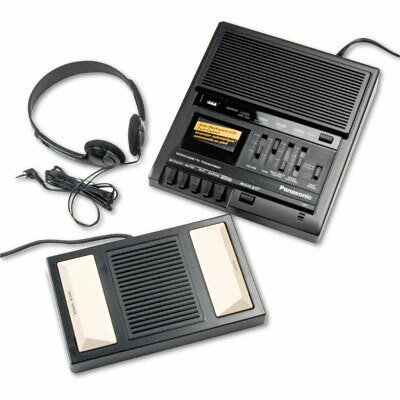 Tape Counter—Mechanical Quick Erase Auto Switch-Off Audible Scan Search Forward Optional Deluxe Headset—PANRPEP110, sold separately Includes tone/volume controls, continuously variable backspacing, two-speed tape operation and standard headset.